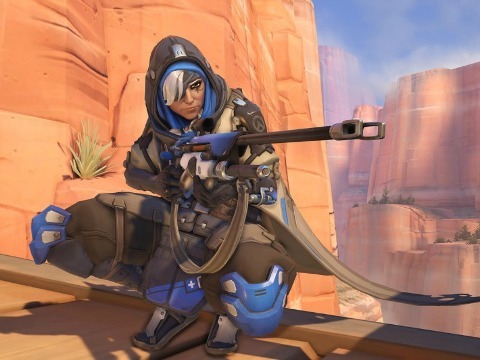 Ana is the name of the new heroine who comes to Overwatch soon. This is the first new character that Blizzard reveals to the game and according to the developer will be the first of many. Ana is a veteran of war using a sniper rifle to restore the life of the companions in the distance. Her main weapon is the “Biotic Rifle” revealed last week as a teaser. This gun shoots darts from long distance that restore life and cause damage to enemies. Heroin also equipped with a “Biotic Grenade” that functions similarly to the rifle but reaches a small area. The grenade restored increases the number of life points and prevent enemies from using restore skills for a short time. Another Ana weapon is “Sleep Dart” which can by enemies to sleep for a period of time. This will be a great surprise for opponents who try to use their final skills. Speaking of Ultimates, the Ana is called “Nano Boost”, a special dart giving a teammate greater speed, greater damage and greater resistance to enemy attacks. This combination can be lethal when well executed, especially when trying to break enemy defenses. For being one of the founders of Overwatch, Ana has connections with Gabriel “Reaper” Reyes, Jack “Soldier: 76” Morrison and other like Mercy and Reinhardt. More details on these relationships might be given when the character is released in the game and begin to interact. Blizzard has not given release date for Ana, but heroin is now available on the test servers.